1. This submission focuses on the situation for human rights defenders (HRDs) in Peru and covers developments from October 2012 to March 2017. 4. In December 2013, a report unveiled the existence of agreements between the national police and several mining companies to provide 'extraordinary additional security services'. These agreements allow mining companies to request additional services from the police, including the rapid deployment of larger units on the occasion of social protests. Under such agreements, the police conduct routine patrols on behalf of the companies aimed to “prevent, detect and neutralise” threats. In effect the result is that the police act as a private security agency for the companies. 5. It is important to highlight that the new administration that took office in July 2016 was expected to address the long-lasting conflicts in relation to mining and extractive projects in the country, but the reports and information collected by Front Line Defenders point to the continuity of human rights violations. 6. By the end of 2016, Peru was the world's second largest producer of silver and copper and the fifth largest producer of gold. Mining licences have been awarded for vast parts of the national territory. Mining concessions in the Cajamarca region accounted for 45.2% of the territory and in the Cusco region for 21.6%. Many indigenous and environmental HRDs advocate for changes in the legal framework for the operation of the mining companies, but these demands have been violently rejected. In past number of years, more than 270 people have died and 4,500 have been injured by the conflicts. 7. During the 2nd cycle, Peru accepted eight recommendations regarding its police and security forces, all of them being related to the need for better training and human rights best practice guidelines. Canada recommended that Peru should “take measures to avoid human rights abuses by the armed forces and national police personnel during conflicts, including by complying with international norms on the use of lethal force, ensuring that enforcement personnel receive relevant training, and by investigating acts of violence in a timely manner”. However, Front Line Defenders has received several reports related to attacks perpetrated by state security forces against HRDs. 8. Law No. 30151, promulgated in January 2014, granted members of the armed forces and the national police exemption from criminal responsibility if they cause injury or death, including through the use of guns or other weapons, while on duty. Human rights groups, both nationally and internationally, the Human Rights Ombudsman (Defensoria del Pueblo) as well as the UN High Commissioner for Human Rights all expressed deep concern about the law. In the words of the Instituto Libertad y Democracia, the law equates, in practice, to a “licence to kill”. 9. Peru accepted a recommendation from Finland to “review the Legislative Decrees No. 1094 and No. 1095 to ensure that they are in line with international human rights standards”. Legislative Decree No. 1095 permits the deployment of the armed forces in public security operations, including in connection to protests and demonstrations. The decree also regulated the use of force, including lethal force, permissible to deal with 'hostile groups'. The United Nations (UN) Special Rapporteur on human rights and counter-terrorism expressed concern and stated that the definition of 'hostile groups' in the law is so wide that it could encompass social protest movements not carrying any weapons. Furthermore, the decree established the jurisdiction of military courts in relation to any illicit conduct by soldiers during protests. Civil courts are therefore barred from hearing cases of human rights violations committed by the military against civilians, which has obvious implications in terms of the impartiality of the court. 10. Six recommendations were accepted by Peru concerning indigenous peoples’ rights. The government of Mexico recommended that Peru should “involve indigenous peoples and peasant communities in the implementation and planning of projects related to the extractive sector”. Despite the approval of the Law on Prior Consultation in 2011, the government continues to issue mining and extractive licenses without prior consultation with the local indigenous people. On 14 September 2016, the Peruvian authorities issued a license to the Río Blanco mining company, in the Huancabamba province, without prior consultation with the local communities. 11. Peru accepted an Australian recommendation to “continue efforts to protect human rights defenders from threats and intimidation to ensure they can perform their functions properly”. However, in the period since the last review, Front Line Defenders has reported several attacks, attempted killings and killings of environmental and indigenous HRDs in the country. On 28 December 2015, four unidentified men shot dead Hitler Ananías Rojas Gonzales, president of Central Única Nacional de Rondas Campesinas del Perú – CUNARC, and vice-president of Frente de Defensa del Yagén. 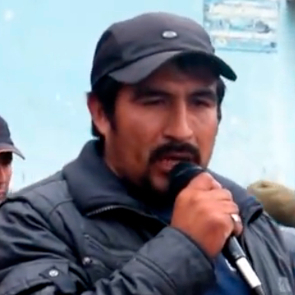 The HRD was a prominent leader against hydroelectric project Chadín II in the Manarón River, and faced many threats, intimidations and smear campaigns prior to his killing. 12. Peru has repeatedly failed to provide protection for HRDs carrying out their work. The country accepted a recommendation from the Netherlands to “engage constructively with human rights defenders in seeking solutions to address human rights problems”, however, it regularly uses violent methods to settle conflicts involving HRDs. 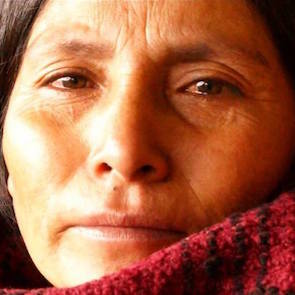 For instance, in the case of Máxima Acuña de Chaupe, Goldman Environmental Award winner of 2016 and member of the Asociación de Mujeres en Defensa de la Vida and the Unión Latinoamericana de Mujeres (ULAM), since 2011 she and her family have faced intimidation, attacks, eviction attempts, smear and defamation campaigns, surveillance, monitoring and property destruction. Máxima’s land is located in Cajamarca region, in a place where the Newmont and Yanococha companies were granted mining concessions. The HRD has disputed in Court the concessions and is struggling to preserve the ecosystem of North Peru, known as the Lagoons Region. 13. Of special concern is the situation of trade unions in the country, especially those related to commodity export activities. The Peruvian government and Judiciary have been unable to prevent companies from carrying out judicial harassment against workers and hindering their right to establish trade unions. On May 2016, 14 members of the Sindicato de Trabajadores de la Empresa Talsa – SITETSA were charged for allegedly forging their signatures on official documents. 14. During the period of concern, several HRDs and civil society organizations have also faced judicial harassment in Peru. The attempts to criminalize the work of HRDs were undertaken both by the government and by companies trying to carry out mega-projects in the country. In 2015, 16 HRDs who are part of the collective Guardianas y Guardianes de la Laguna which works to oppose the construction of a mining mega-project known as Conga, planned for the Cajamarca region of Peru, were accused by the governors of the province of Celendin and the district of Sorochuco of kidnapping, coercion and irreverence to patriotic symbols. According to the defence council, the governors are close allies of the directorship of Minería Yanacocha, the company responsible for the project. 15. The Law No. 30151 promulgated on 13 January 2014 is a threat to HRDs and their work as it exempts from criminal liability Army and National Police forces who cause injuries or deaths. In a visit to Peru in January 2014, Front Line Defenders received several pieces of information that indicated the increase of police violence following the adoption of the law. On 18 March 2014, police forcibly dispersed a group of protesters that had gathered in the lagoons Seca, Negra, Mishacocha, and Mamacocha, in Cajamarca. Protesters were shot and tear gas was used by officers of the División Nacional de Operaciones Especiales (DINOES). Reportedly, DINOES officers subsequently set the campsite on fire by torching clothes, equipment and food belonging to the protesters. 16. Most of the HRDs that Front Line Defenders contacted in the period believed that they were, regularly or occasionally, under physical or electronic surveillance. Some of them received confirmation of surveillance from contacts from within the intelligence services. Furthermore, in December 2013 Anonymous Peru hacked servers of the Ministry of Interior and uncovered evidence confirming surveillance and monitoring, without court approval, against environmental HRDs in the Cajamarca region. Circumstantial evidence of surveillance also comes from security incidents suffered by HRDs. The home of Ivett Sanchez, secretary of Grupo de Formación e Intervención para Desarrollo Sostenible (GRUFIDES), was broken into on 8 November 2013, and the home of Mirtha Vasquez Chuquilín, also a member of GRUFIDES, was broken into twice, on 24 November and 15 December of the same year. In all three instances, no valuables were stolen, which led them to believe that they were incidents meant to intimidate. 17. Local journalists reporting on police abuses or reporting in a way favourable to those opposed to mining have also been subjected to threats, surveillance, detention, criminalisation, physical attacks as well as confiscation or theft of equipment. One of those targeted is Bambamarca-based journalist César Estrada Chuquilín, reporter for the programme “Pulso Informativo” on Radio Coremarca. In December 2012, he revealed that signatures purportedly showing local community support for mining had been obtained fraudulently. 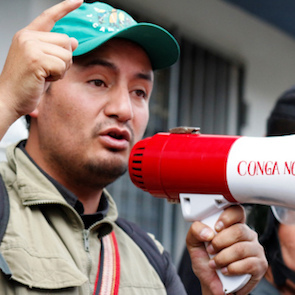 On 28 July 2013, he was visiting the Conga site to report on a protest, when a group of policemen and other individuals in orange safety vests, who appeared to be Yanacocha workers, blocked him. He was insulted, kicked and hit in the head with the back of a rifle, leaving him unconscious. His camera, mobile phone and wireless modem were all taken. 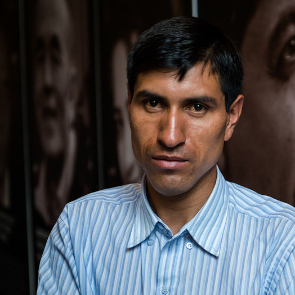 César Estrada is one of the beneficiaries of the precautionary measures granted by the Inter-American Court on Human Rights (IACHR) on 5 May 2014. 18. During a Front Line Defenders visit to Peru in 2014, HRDs, both in the capital and in the regions of Cajamarca and Cusco, expressed frustration at the fact that only relatively small and local media report on their environmental and human rights concerns. Mainstream national media portray protesters and environmental HRDs as a small minority of violent extremists. While there has been use of violence by individuals involved in the protest movement, this view ignores the widespread and peaceful local opposition to the mining projects and the peaceful and legitimate work carried out by HRDs. 19. Public statements by authorities labelling HRDs and protesters as bandits, terrorists or as being involved in narco-trafficking have contributed to the negative media portrayal. In one notable case, footage was released of Milton Sanchez Cubas of Plataforma Interinstitucional Celendina (PIC) carrying a flag saying 'Conga No Va'; as the flag was red, and red was the colour used by guerilla group Sendero Luminoso, this was used to accuse the HRDs of being a terrorist sympathiser. 20. HRDs have also reported that most of the Peruvian radio stations have mining companies as their sponsors. In this situation, the radio stations play an important role, broadcasting distorted facts, framing public opinion, and contributing to the delegitimization of the work carried out by HRDs in the country. 21. Judicial harassment is one of the most common forms of repression against HRDs in Peru. It is used to particularly target those working on indigenous, environmental and land rights as well as freedom of expression. Although in the majority of cases the HRDs are found innocent, they still have to commit resources to attend court and obtain proper legal defence. 22. At the beginning of 2014, nearly 400 protesters and HRDs, including community leaders, faced court proceedings, initiated by mining companies, their staff or the public prosecutor. They were based on charges such as rebellion, terrorism, violence, usurpation, trespassing, disobedience or resistance to an official order, obstructing public officers, abduction, outrage to national symbols, criminal damage, causing injury, coercion, disturbance or other public order offences including obstructing roads. Ydelso Hernandez Llamo is the president of the Central Unica Nacional de Rondas Campesinas del Peru (CUNARC) - 45 lawsuits on account of his legitimate and peaceful work as a rondero and a HRD. Manuel Ramos Campos, member of the Rondas in the locality of Tambo and secretary of Organización del Frente de Defensa del Tambo - 50 lawsuits, 40 of them already closed by 2014, on charges ranging from obstruction or resistance to authority, usurpation, trespassing, damage, disturbance. Edy León Benavides Ruiz, President of the Organización del Frente de Defensa de Bambamarca - approximately 30 court proceedings. 24. Even when ending in acquittal, court proceedings succeed in hindering the work of the HRDs concerned, affecting their reputation and furthering the view – often upheld by national media – that they are violent extremists. This is especially the case when accusations of terrorism, rebellion or violence are levied. 25. On 31 May 2012, the Executive Council of Judicial Power ordered that all cases related to social protests from the regions of Cusco and Cajamarca be moved to other court districts, namely Ica and Chiclayo. This decision was motivated on the basis that social tensions would prevent the effective administration of justice. However, Ica and Chiclayo are far away from Cusco and Cajamarca. The move seriously affected access to justice and the right to defence due to the limited financial means of the defendants, the difficultly of travelling to distant areas and ensuring the presence of lawyers. (g) Consider adopting a public policy, in close consultation with civil society, that addresses the issue of security and protection of HRDs, including the creation of a Mechanism focused on protecting HRDs’ ability to defend human rights and not merely on direct physical protection. This should include analysis on collective protection and a gender perspective, amongst others.